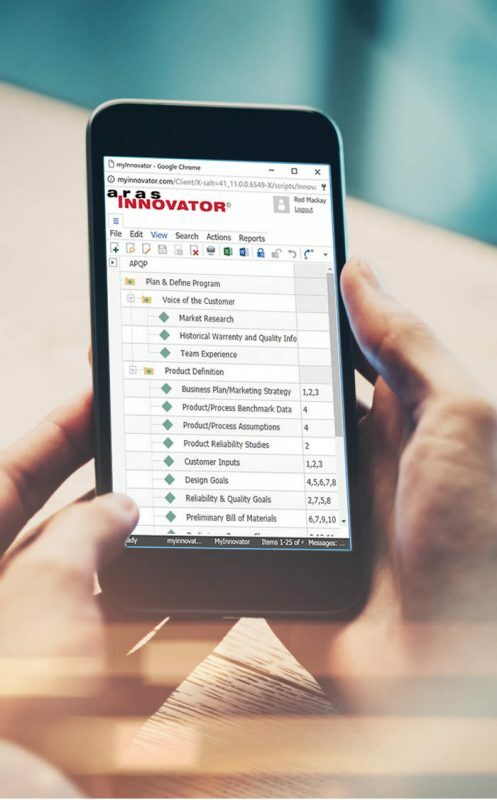 Aras Innovator® is a Product Lifecycle Management (PLM) web-based software solution to support companies that need to manage product development, multi-site manufacturing, supply chain operations and quality compliance. Aras provides a new value proposition to companies of all sizes for managing growing product complexity and fast changing processes. Aras is different, so you can be different too. By rethinking the way PLM is designed, Aras have taken a fundamentally different approach to both PLM technology and the PLM business model. Aras recognize that every company is unique and constantly changing to grow, improve and compete. Being different is how your company innovates to differentiate itself in the marketplace. 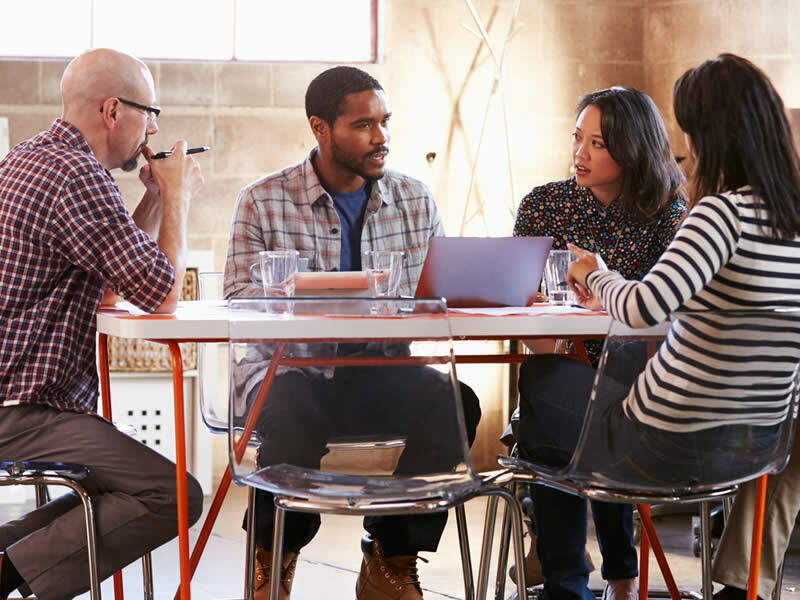 To enable this continuous innovation, Aras focus on delivering a scalable, full-featured PLM suite with industry best practices that is significantly easier to adapt to your company’s changing business practices rather than forcing you to compromise your business to fit the software. Project Portfolio — Providing visibility into projects and programs, enabling enterprise organizations to plan and manage resources, mediate risk and maximize profitability. 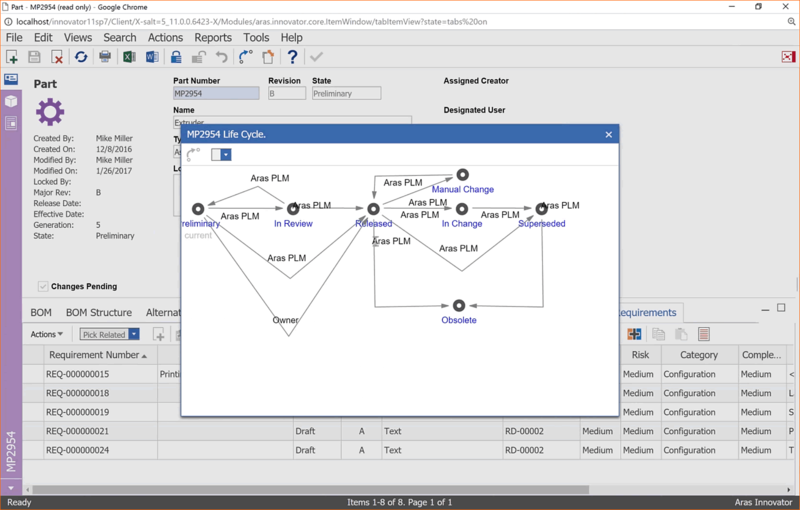 Process Planning — Provides an integrated approach to managing manufacturing data and processes in PLM, bridging the gap between engineering and manufacturing with a digital thread. Systems Engineering — Provides management of the lifecycle of complex multi-disciplinary products from requirements, through development, manufacture and support. High performance MCAD/ECAD integrations and 3D/2D visualization. Parts — Ensure consistency of information by automatically managing relationships between part items and relevant CAD models, drawings. Bill of Materials — Manage complex MBOM and EBOM structures with Aras across mechanical, electronics, and software to assure consistency and control through the product lifecycle. PDM Integration — While Aras provides full PDM capabilities, integration with other PDM environments which manage CAD, parts, BOMs and documents is also available, including integration with SOLIDWORKS PDM Professional. 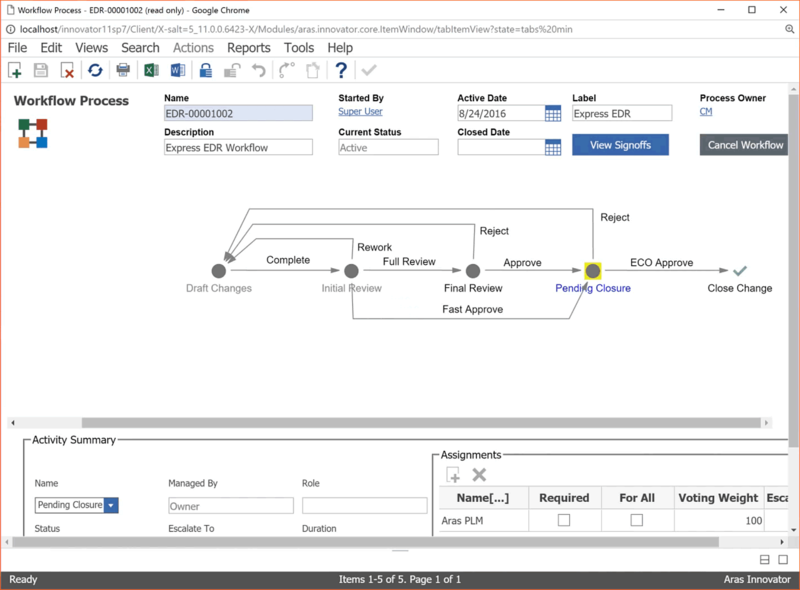 Technical Publications — Enables cross-discipline authoring, visualization, sharing and publishing of topics-based, modular documentation within a secure, managed environment. Cross discipline product structure with online change workflow processes. 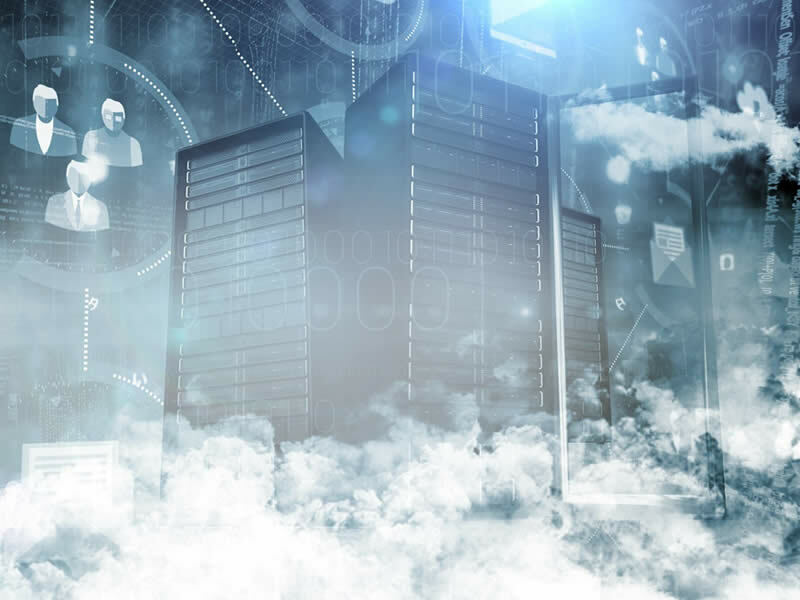 Configuration Management — Aras provides a comprehensive closed-loop system using CM2 certified methods for managing the configuration of a product or system throughout its life. Change Management — Aras streamlines change requests, assessments, and orders and ensures visibility across disciplines and in the extended supply chain, reducing errors and avoiding delays. Quality — The Aras Quality Management System application provides businesses with advanced product quality planning (APQP) tools to manage risk, improve quality, and attain environmental, regulatory, safety, medical, and other forms of compliance. Simplified user experience in a clean and modern HTML5 browser interface makes PLM more productive and approachable for everyone. Advanced PLM platform technology delivers a new level of flexibility, scalability and extensiblity to support global competitive practices. An open architecture features web services APIs for robust integration and federation to complement and extend existing systems. Used in 140+ countries by global companies including GE, GETRAG, Hitachi, Honda, Motorola, TEVA Pharmaceuticals, Textron and XEROX. "We have a deep product structure on some of our product lines and this would significantly increase productivity and quality." "Together Aras Innovator and SOLIDWORKS PDM Professional provide the ideal solution for us to streamline and simplify process complexity throughout the company." 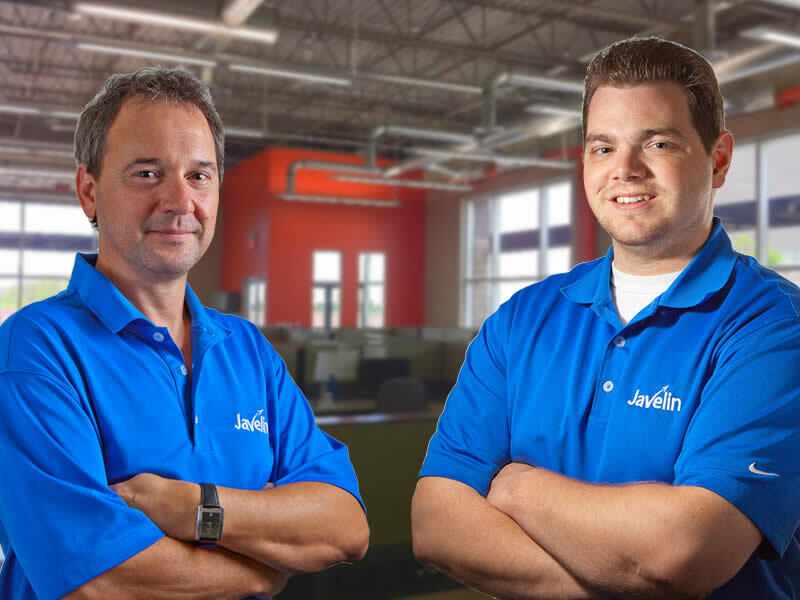 "We looked at other PLM/PDM products, but they would require ripping out our existing system. Aras Innovator enables us to keep the software we already have and love while exposing product data in processes across the company." 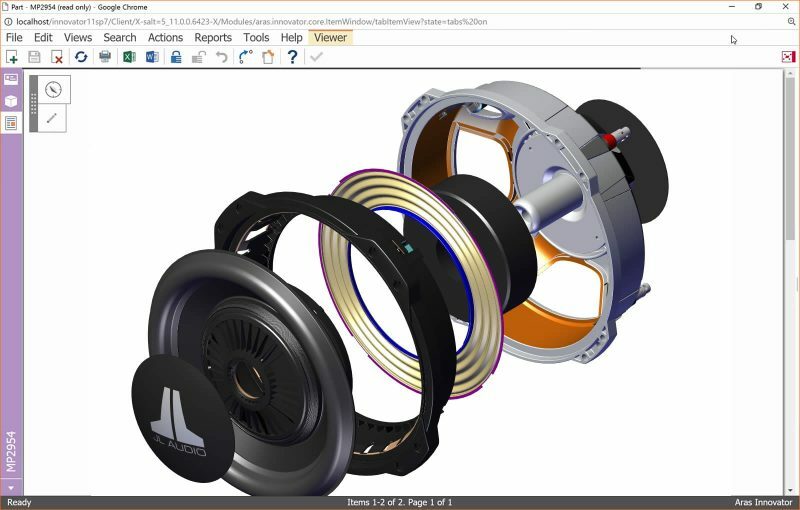 "Aras Innovator is exactly the solution I was looking for — keep SOLIDWORKS PDM Professional and scale it without having to replace it." "BAM! Aras is clearly playing a role of a disrupter in the PLM market."